We are archaeologists, lawyers, anthropologists, ethnobiologists, ethicists, indigenous community members, students, educators, writers, human rights specialists and scholars of cultural heritage who came together in a focus session on indigenous ancestral burial grounds that was organized as part of an international gathering convened by the Intellectual Property Issues in Cultural Heritage Project that took place November 7-9, 2014 on the unceded traditional territory of the Musqueam Nation, Vancouver, British Columbia, Canada. The Federal and Provincial governments of Canada, local governments, local authorities, First Nations leaders, public and private sector stakeholders and civil society to: act immediately in protecting First Nation ancestral burial grounds in British Columbia from destruction, damage, and alteration; develop effective mechanisms that go beyond consultation and directly involve First Nations in British Columbia in the stewardship of their ancestral burial grounds and heritage sites; and uphold the requirement for free, prior and informed consent of First Nations communities in approving any project that has a potential to impact their cultural heritage rights and responsibilities. Natasha Lyons, PhD, Director, Ursus Heritage Consulting Ltd. 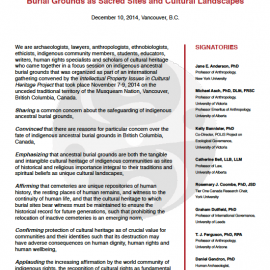 The IPinCH Declaration on the Safeguarding of Indigenous Ancestral Burial Grounds as Sacred Sites and Cultural Landscapes was made on December 10, 2014, with public endorsements accepted for one year. 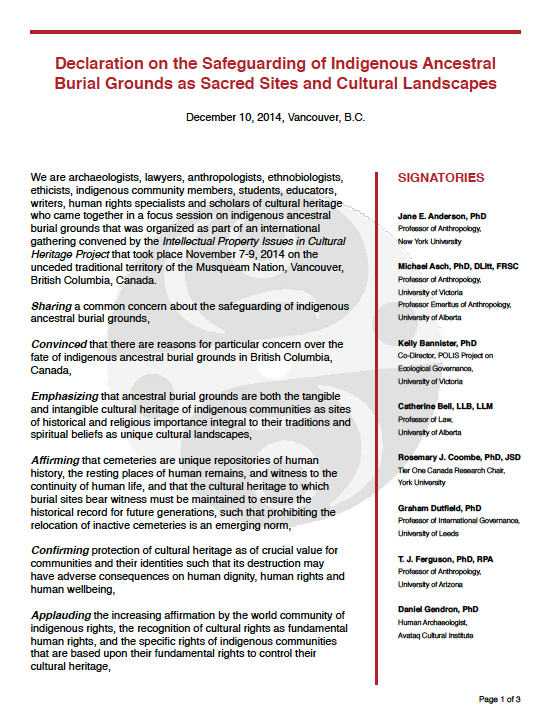 The Declaration has been endorsed by over 20 leading Canadian and international organizations representing Indigenous peoples, professional anthropologists and archaeologists, and others concerned with environmental and social justice. 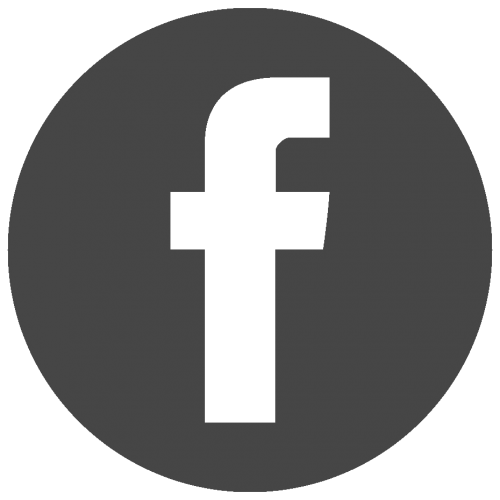 Endorsing organizations include the Union of BC Indian Chiefs, the First Nations Leadership Council, the First Nations Summit Society, the Assembly of First Nations BC Region, the British Columbia Association of Professional Archaeologists, the American Anthropological Association, the Society for American Archaeology, the International Society of Ethnobiology, and the David Suzuki Foundation, amongst others. 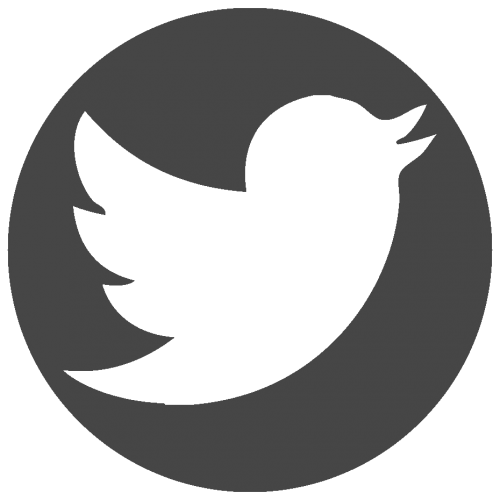 Over 100 scholars, professionals and students from many disciplines across North America, the United Kingdom, Bulgaria, Greece, Spain, Lebanon, Japan, Taiwan, Australia, and South Africa have also endorsed the Declaration. As heritage sites remain at risk in British Columbia and elsewhere, the Declaration will continue to be an important tool for education and intervention within and beyond the province.